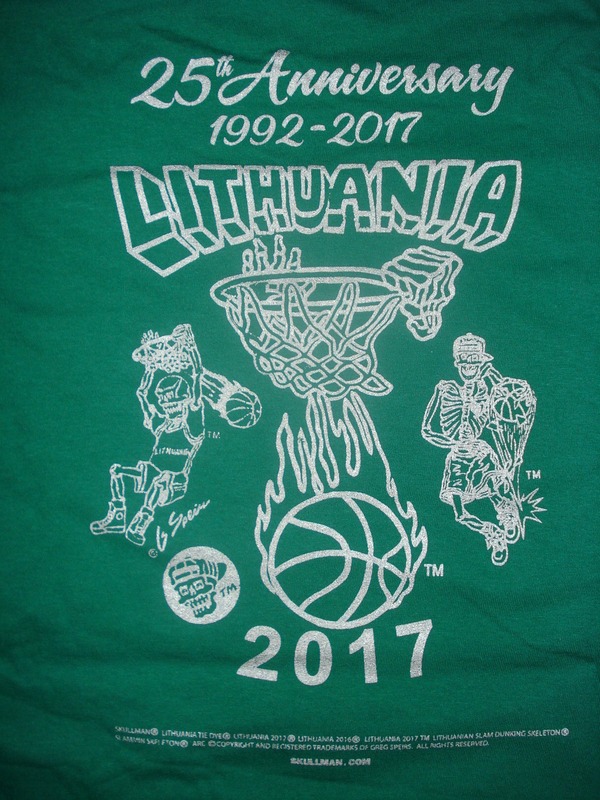 For those who missed out in '1992 we offer another limited chance to own these Special "Original Lithuania Tie Dye basketball Jerseys" again. NOTICE: Copyright 1992 & Trademark Property of Greg Speirs. All rights reserved. SHIPPING to anywhere in the U.S.A. and to most countries throughout the world. 30 MONEY BACK GUARANTEE IF NOT COMPLETELY SATISFIED! 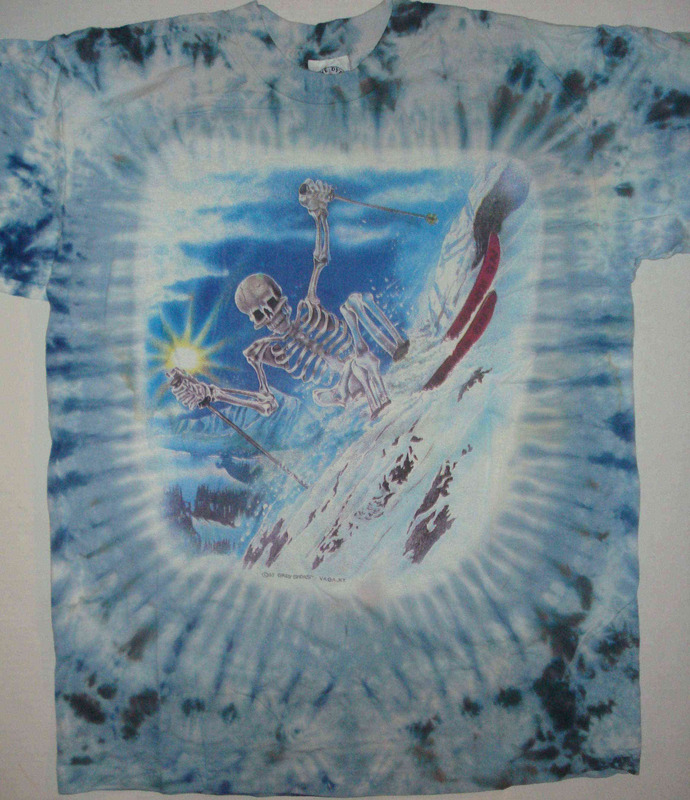 (1992 Lithuanian tie dye jersey 2018 Edition) 'Original Olympic Slam Dunking Skullman'. Lithuania Slam Dunking Skeleton artist's Facts: This art was created by Greg Speirs. license and with permission from the original artist Greg Speirs. Who was the major funds sponsor of the 1992 Lithuanian Olympic basketball team? 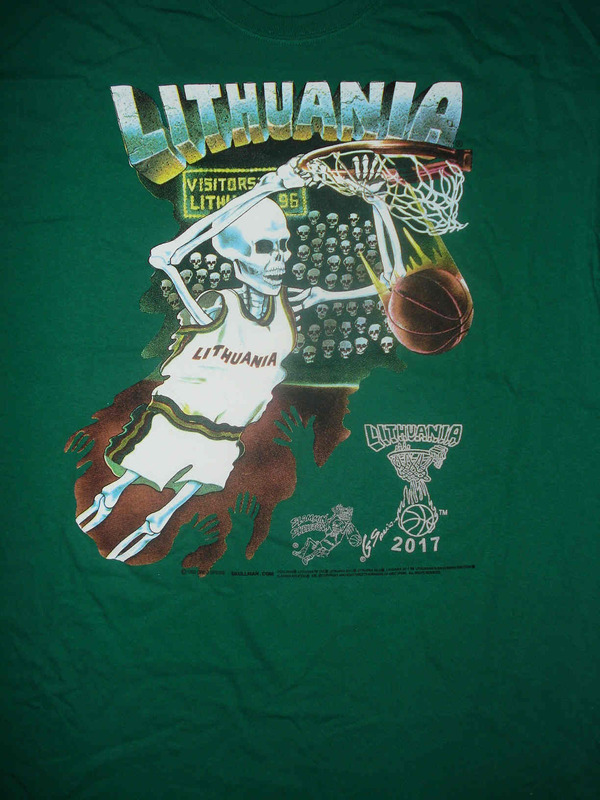 Answer: Sports artist Greg Speirs, was the “major sponsor” of the 1992 Lithuanian Olympic basketball team when he donated the $400,000.00 (all of his profits) realized from his trademarked “Slam Dunking Skeleton” design to the team and to Lithuanian children’s charities.